Your mailbox is drowning in spam attacks? You want to protect yourself effectively? 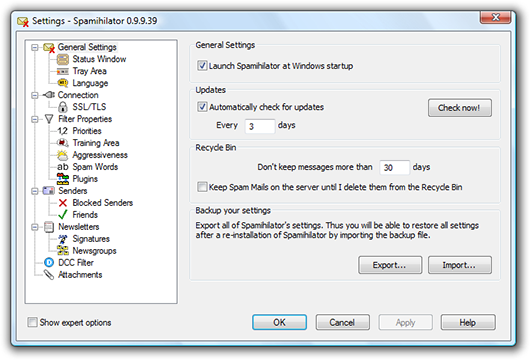 Here is the best solution, Spamihilator , free software that protects your mailbox from spam. Simple to use, but with advanced options, it will be your perfect companion! This tool uses a Word-Filter, means you can defined words and expressions which will then this tool will search messages for known keywords. 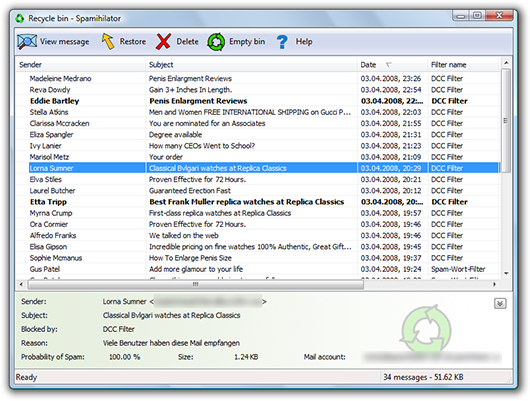 Spamihilator examines each incoming mail and filters the messages considered spam or unwanted. The best thing is that it works with almost every E-Mail client, such as Outlook 2000/XP/2003/Express, Eudora, Mozilla, Netscape, IncrediMail, Pegasus Mail, Phoenix Mail, Opera, etc. Spamihilator is free to download, so guys download this tool from the following link and start protecting your mailboxes.